You are here: Home / Articles / What is required to be a ‘professional’ pet sitter? What is required to be a ‘professional’ pet sitter? And what is this quote in reference to? Being a pet sitter. Mr. Garcia was turned down by a major pet sitting company when he applied. He lacked the necessary knowledge and experience for the job. Here’s the thing–it doesn’t take a degree in aeronautical engineering to be a dog walker. But it DOES take more than just liking animals. You have to understand the body language of cats and dogs. You must know what to do when an animal is injured. You have to know how to deal with all kinds of situations –most of us work in homes with complicated feeding and medicine schedules. Pet sitting is a great career. But it’s NOT easy money (as the WSJ suggested), and it requires incredible stamina. 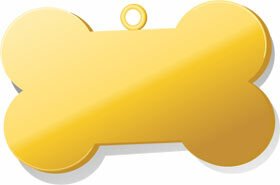 Most days, we have 20 or more pet visits on our schedule. This job is incredibly rewarding, but incredibly hard. Clients move away. Or your favorite cat to sit for gets old and dies. You know the heartbreak you feel when you lose a pet? We feel it, too. Several times a year when one of our beloved pet clients dies or moves away. We work long days, weeks at a time WITHOUT A DAY OFF. Burnout is a very real danger. We work holidays. Every one. I haven’t had a Christmas at home with my family since 2002. Pet sitting is not a job you carelessly walk into. Experience is a must. Animal knowledge is a must. Loving animals is a must. An incredible work ethic is essential. I know Alec Garcia wanted that job. With a different approach to pet sitting, and some “homework” ahead of time, he just might have a shot. Thanks for reading and commenting! What a nice review of our blog! And yes, we’re still blogging. Working on a one now, so keep an eye out!